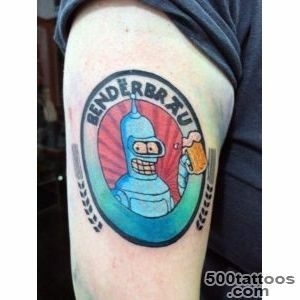 Bender - the robot from the cartoon series " Futurama ". 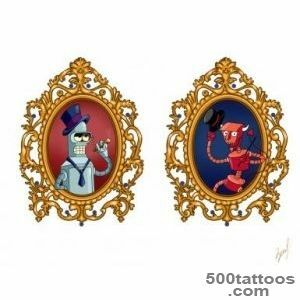 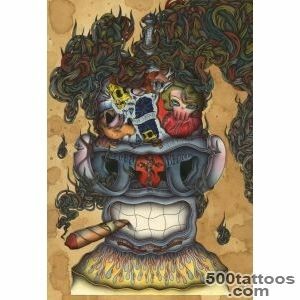 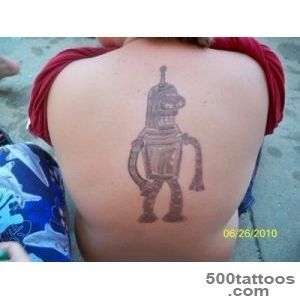 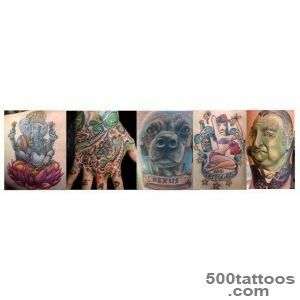 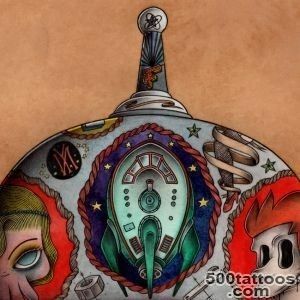 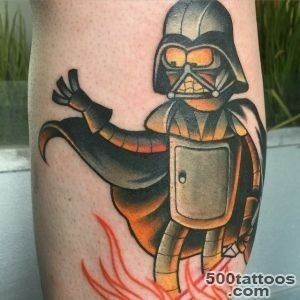 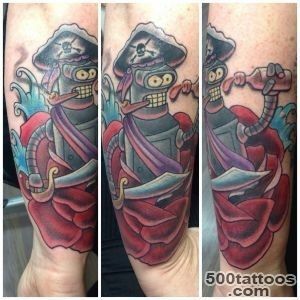 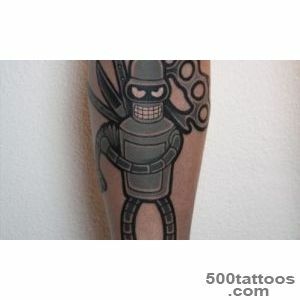 Recently, an evil robot from the movie becomes wildly popular in applying it as a tattoo. 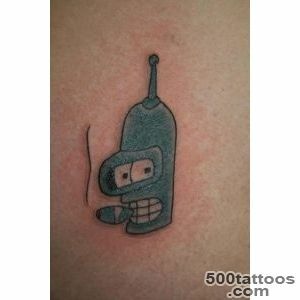 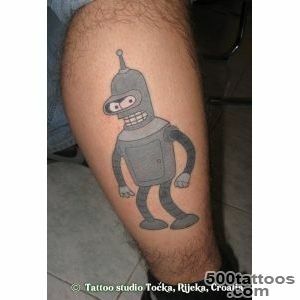 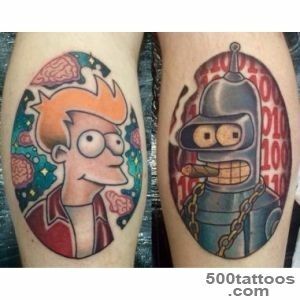 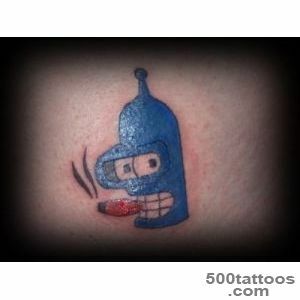 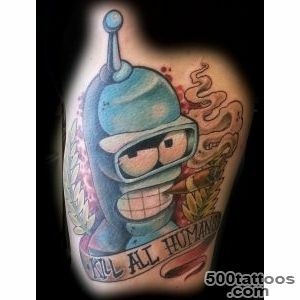 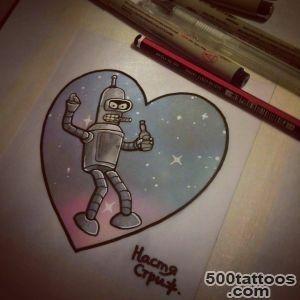 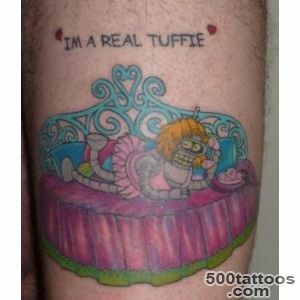 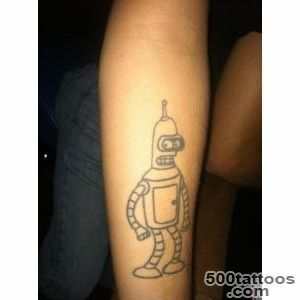 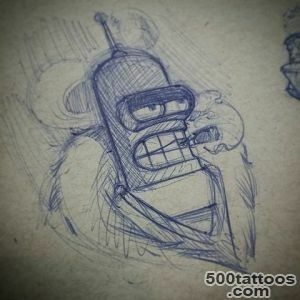 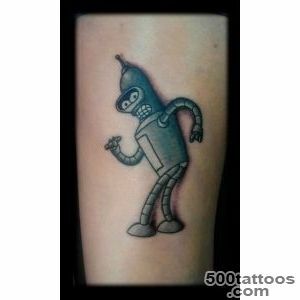 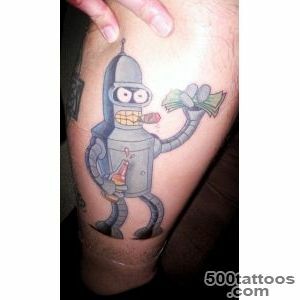 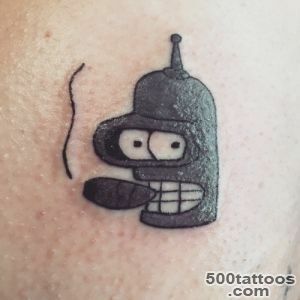 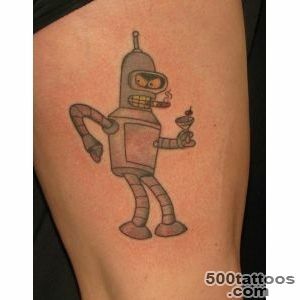 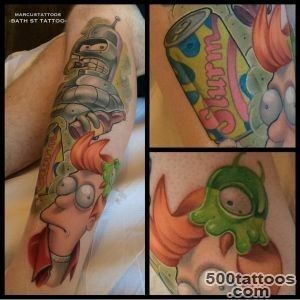 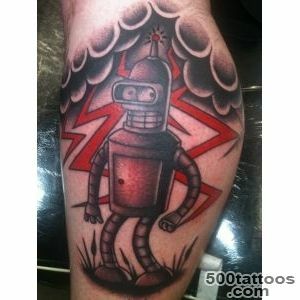 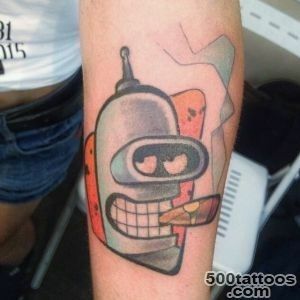 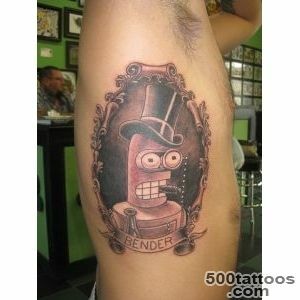 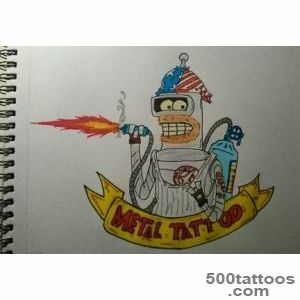 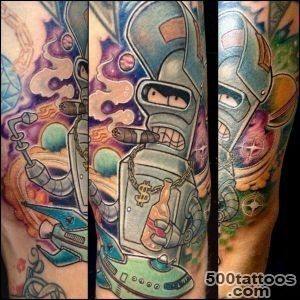 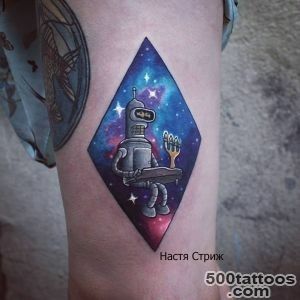 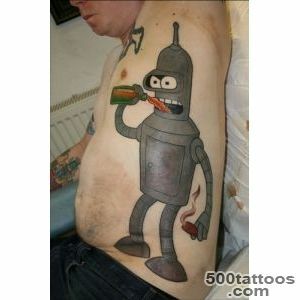 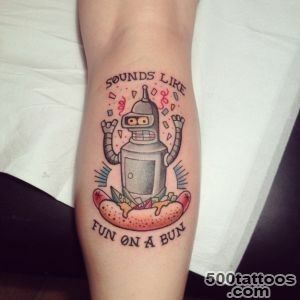 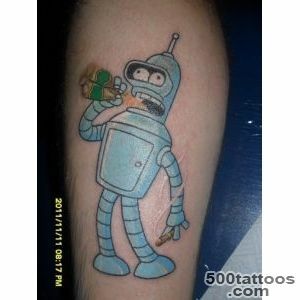 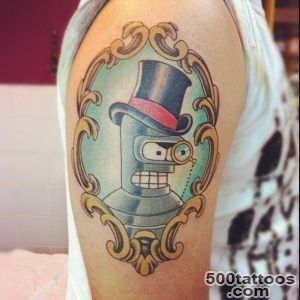 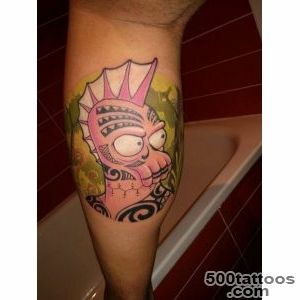 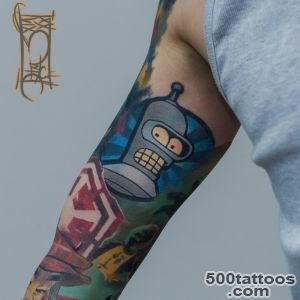 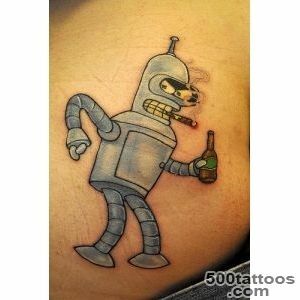 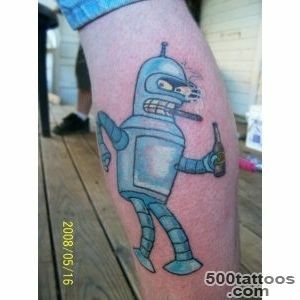 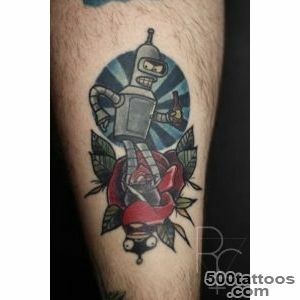 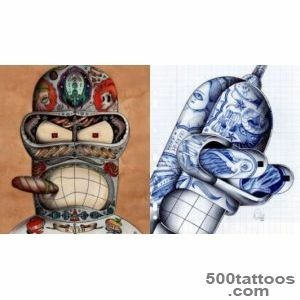 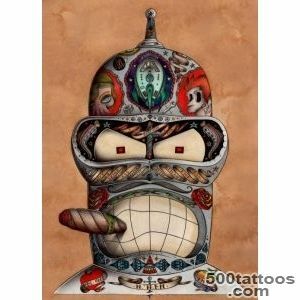 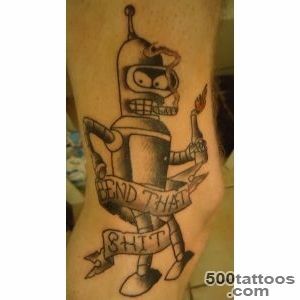 The owner of the tattoo with Bender, in solidarity with the attitude and philosophy of the flexor robot. 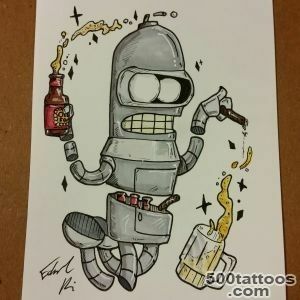 It is as follows : ridicule life bans the use of alcoholic beverages,smoking, stealing, foul language, doing nothing, watching TV shows, entertainment in the clubs, the desire to kill all humans.